A doctor, wife and grieving mother. Amy is falling. It has been two years and she still cannot manage to leave her comatose son, David’s side. Amy falls further into her own selfish and twisted world of obsession and denial, blocking out everything and everyone around her. Meanwhile the walls of the hospital she is neglecting begin to fall apart. Awakening in what seems to be an abandoned old school, Amy finds herself a prisoner to a hoard of displaced cultish and feral kids. 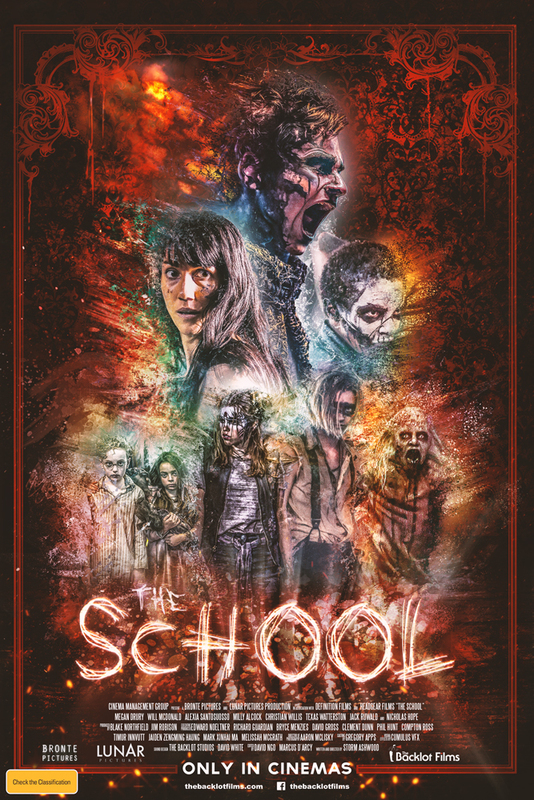 Trapped in a hostile supernatural purgatory for children (THE SCHOOL), Amy becomes an unwilling surrogate mother and must try and escape an impending evil. As supernatural and psychological terror ensues, Amy must find her way out, fighting against the demonic, supernatural and ultimately her own demons.